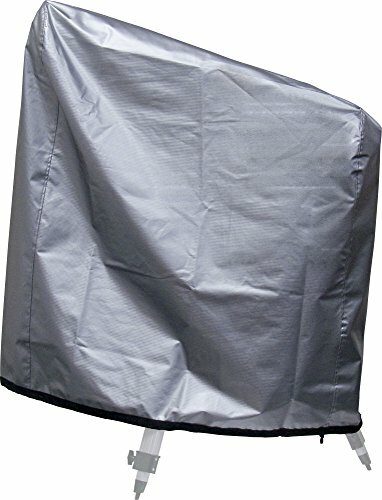 Scope Cloak protects your telescope when it's idle, shielding it from the elements - dirt, moisture, and sunlight. In the daytime it will keep your scope cooler so it will reach thermal equilibrium faster once night falls. Between viewing sessions, Scope Cloak will keep your instrument clean and dry. It's made from reflective, tear-resistant fabric with a waterproof lining. A locking drawstring provides a snug fit. Not intended for permanent outdoor storage. Fits mounted reflectors up to 6", short refractors up to 120mm, and SCTs up to 11". Fits mounted reflector telescopes up to 6" in aperture, short refractors up to 120mm (4.7"), and Schmidt-Cassegrains up to 11"